Music is powerful. It can make us smile, laugh and cry. It gives us something to enjoy or think about while we wait for the bus. It makes us want to dance. It gives us food for thought. It can even influence our feelings about a place or experience. Remember that one guest who uttered “the people were great and the food was good, but the music was awful.”? You see, music can make a difference to how we experience our world. Music, with its undeniable power to evoke emotions that influence the way we think and feel, has also long been heralded by political leaders as a powerful weapon of warfare. From Nazism to communism and even to capitalism, music has been used as a tool for propaganda to alter the way people think and behave, especially during totalitarian regimes—and there is good reason why this was so. As Hitler’s Propaganda minister Josef Goebbels once stated “Music affects the heart and emotions more than the intellect. Where then could the heart of a nation beat stronger than in the huge masses, in which the heart of a nation has found its true home?” An internal memo circulated in Hitler’s Youth Organisation also reveals that songs were portrayed as “possesing the strongest community building power“. 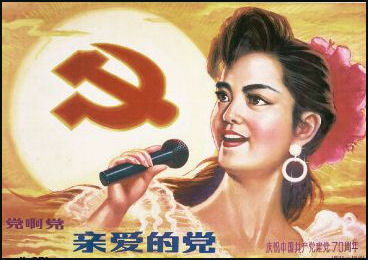 Mao Zedong, who clearly understood the impact of music, employed national music as a tool to reeducate the people according to Communist reforms. Throughout the communist regime, legislation was also employed to control the creative output of musicians—only music that upheld communist principles were allowed. The Communist Party in China further established an academy for the arts in Yan’an in 1937 in order to “rectify” artists and instruct them on how to incorporate communist objectives into their works. Likewise, restricting musical expression is also a powerful means of political warfare. At its most extreme, music has been completely banned in order to impose inhibitions on artistic will and imagination. Under the Taliban rule in the mid 90s, the people of Afghanistan lost their right to music under extreme censorship. All musical instruments were prohibited, and when discovered by authorities, they were destroyed, sometimes burnt in public along with confiscated audio and video cassettes, VCRs and TV sets. The only musical activity permitted was the singing of certain types of religious song and Taliban “Chants”. So yes, while music has the power to evoke positive emotions and inspire minds, we must not forget that it also has the power to destroy, indoctrinate and manipulate. Regarded as “the Great Pipes of the Highlands”, the bagpipe was officially classified as an instrument of war in the 1700s. In April 1745 on a hellish day on Culloden Moor, the Jacobite clans rose up against their English rulers via a surprise attack that crushed the English army within an hour. Subsequently, the English imposed brutal measures against the clans, and one of the pipers named James Reid, was captured. At trial, Reid was accused of high treason against the English Crown, though the piper himself defended his innocence saying he did not have a weapon such as a gun or sword—all he did was play the bagpipe. The judges later concluded that since a highland regiment never marched to war without a piper, in the eyes of the law the bagpipe was an instrument of war. James Reid was subsequently convicted and hanged. 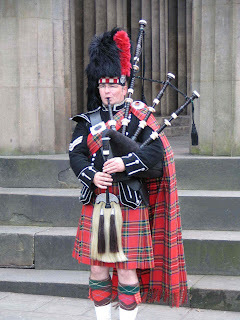 Bagpipes continued to make their mark on history, appearing in both World Wars, the Gulf War and many more. Instruments used in battle serve as an incentive and motivation for troops and for intimidating the enemy. For example, drums were used in battle as a communication tool—signaling orders, strategic maneuvers and the unified firing of weapons. In 2008, there was an outcry from the music world demanding that the US stop using their work as instruments of war on detainees. Such use of music started about 25 years ago when the US armed forces in Panama used the music of Elvis Presley and Guns N’ Roses to drive the country’s leader Manuel Norega to surrender. Since then, the CIA has frequently deployed music played at intolerable levels as a means to torture detainees in Guatanmo bay and elsewhere. The songs used included the Sesame Street theme song, Metallica’s Enter Sandman, Eminem’s White America and AC/DC’s Hells Bells. One of the reasons for using loud music in this way is that it leaves no marks on the body. Some of the prisoners have exclaimed that such torture could even be worse than traditional methods of physical torture, including waterboarding, because it causes one to lose their mind. Today, both the UN and the European Court of Human Rights have banned the use of loud music in interrogations. To conclude, it is difficult to say whether music has brought mankind more good or evil. While most of us listen to music for the harmless purpose of entertainment, one should be cautious not to underestimate the power of music and how it has affected our history. We should remember that music, like a knife, is a tool, and it is a powerful one. While it can be used to make delicious meals, it can also lead to bloodshed if used for the wrong reasons.